Upselling attractions can improve guest satisfaction and profits. 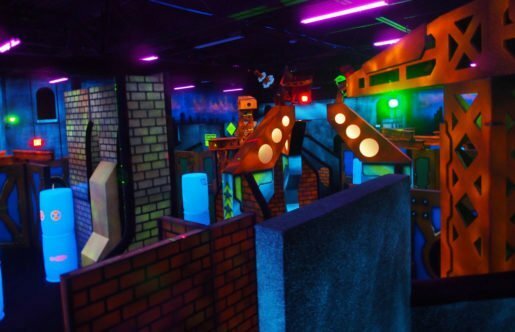 At mini-golf, go-kart, and family fun centers with these attractions, owners and managers offer their tips for successful upselling, and describe their most popular attractions. At Wilsonville Family Fun Center & Bullwinkle’s Restaurant in Wilsonville, Ore., Shift Manager Audra Harley said her staff is trained to give guests the best option or package based on their group size or their group’s ages. “It’s all about what would be the best fit for the customer. We want to exceed our guests’ expectations and give them the best deal.” Harley notes that to buy two separate attractions is more expensive at an individual price than as part of an upgraded package. Bumper cars at All Star Bowling & Entertainment in Tooele, Utah. “ …When guests walk in through our front door, everyone knows how to upsell from their training and staff meetings,” the director of sales said. “We have our extreme pass and we have an upsell for that at $5.95, so when we’re explaining to guests, we tell them if they upgrade for just $5.95, then the attractions are unlimited. Most of the time guests do want to choose that option because our attractions are really fun and both are appealing to them,” Harley explained. “With our extreme pass, the base price for it is $33.95 and we explain to guests what comes with the pass. It comes with go-kart, bumper boats, miniature golf, rock climbing, sky trail, and a few more attractions including a $5 credit for the arcade. Then we say, ‘If you like, we also have the add-on for $5.95 and you get XD Dark Rider unlimited as well. Would you like to upgrade now?’” Harley notes that sometimes guests say no, and at that point, she or her staff members let guests know they can always upgrade later if they change their mind. “Sometimes for birthday parties we have extra options available like special deals on arcades, such as paying $5 to receive $7.25 in credit,” she asserted. Other party add-ons include ice cream sundaes at a discounted price. 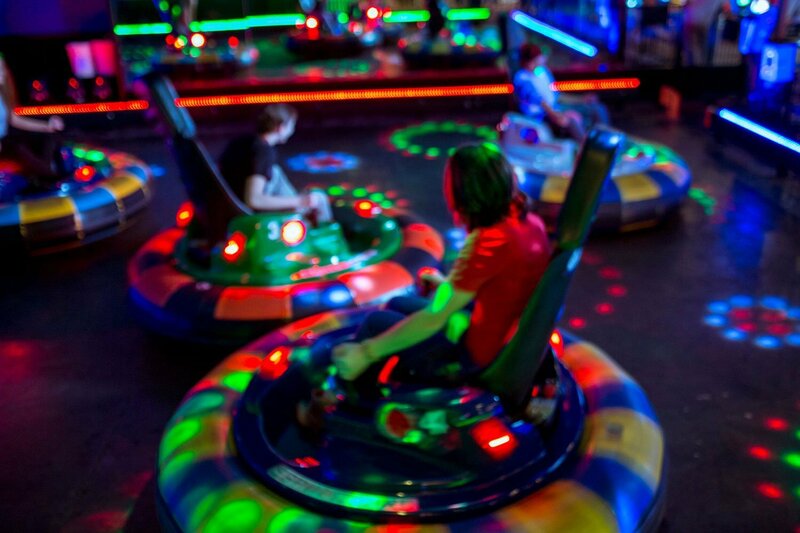 Laser tag is among the activities at All Star Bowling & Entertainment. The director of sales said to upsell attractions, it is important to interact with guests and find out what they are interested in doing. Pelton and his staff encourage customers to take part in the special offers, and also upsell additional go-kart rides. “We’re just a go-kart operation with two different kinds of cars available depending on customer ages. So what we’re upselling are additional rides and the best way to do that is for our employees to look like they’re having a good time. That’s what works, and that’s our atmosphere.” Pelton’s park is open just five months a year, and last year’s visitation was roughly 11,000 guests. This year, with over a month to go in his season, the park is already at 12,857 guests. At All Star Bowling & Entertainment, call center staff in the sales department are thoroughly trained on packages, and how to upsell them. Shown is mini-golf at the attraction. Sanders said each staff member has his own process for upselling. “I personally listen to what the customers are talking about amongst themselves, and if I hear them discussing different deals, I’ll try to offer them a discount on both. 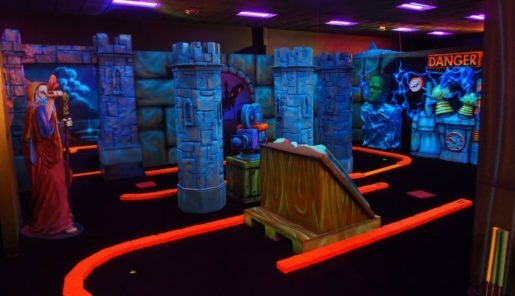 Most days we offer Putt Putt mini-golf for $8, but sometimes we have specials like unlimited Putt Putt golf and food and game room money for $7.50. I’ll try to sell that and the guests are usually pretty pleased,” she attested. “Guests usually do end up getting upsold, probably about eight times out of 10.” Sanders’ most popular attraction to upsell is go-karts. “We’re one of about three go-kart spots in Memphis. Our wristbands cost $35, and for that amount, guests receive four go-kart rides, unlimited mini-golf, bumper boats, unlimited spin zone time, $10 in game room money, and 10 minutes on our ropes course.” With a deal this inclusive, the wristbands are among the 40-acre Golf and Games Family Park’s more popular items. Apart from bowling and mini-golf, the main attractions that appeal to guests at All Star are laser tag and arcade games. “To upsell these other attractions, it’s basically about interacting with guests and finding out what they’re interested in doing,” Summer said. Overall, across the United States, upselling at mini-golf and go-kart facilities leads to bargains and fun for guests, and a higher profit margin for owners and operators.